Chronic Venous Insufficiency develops when the valves stop working properly. This malfunction, causes the blood to flow backward (i.e. reflux) and pool in the lower leg veins. 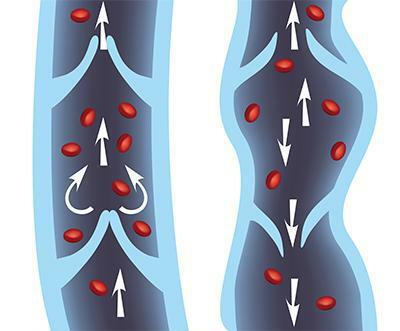 If chronic venous insufficiency is left untreated, symptoms can develop and worsen over time.